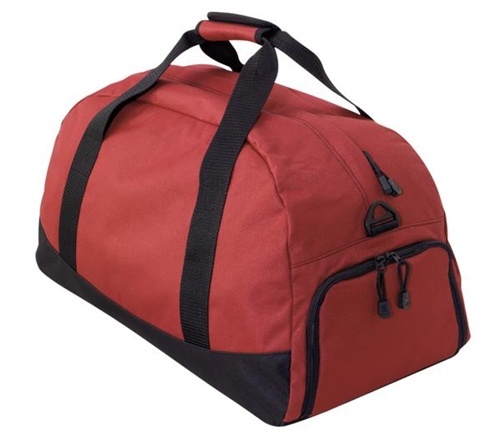 This durable 600 denier polyester fabric duffel bag has a large opening for easy packing and a large nylon lined pocket for shoes or wet items. 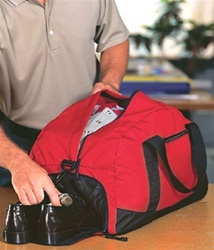 It also features a padded carrying handle and ergonomic adjustable/removable shoulder strap. Exterior zippered pocket and small interior zippered pouch pocket. Bottom board to help bag retain its shape.